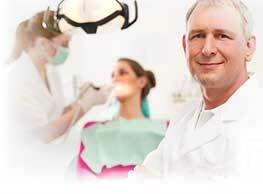 Nowadays, cosmetic tooth filling has become a common procedure. Most of the people would have undergone filling atleast once in their lifetime. These filling procedures tend to treat tooth decay or damaged tooth. Silver amalgam filling is the most popular type of filling used in this procedure. Aesthetic reasons require both standard fillings and cosmetic fillings. These are together referred to as onlays and inlays. Cosmetic filling is referred to as a dental procedure which mainly specializes to restore tooth decay or fractures. The procedure uses materials such as silver amalgam or a composite (white) filling. These materials are usually placed within the tooth to repair the damage and prevents further decay. In case, the decay spreads to the root, then it may cause severe infection like an abscess. The filling treatment stops the progress of decay. In addition, it avoids the need for a tooth extraction. The traditional silver amalgam filling consists of metals such as mercury, copper and tin. This combination is highly used to retain normal tooth function. A synthetic combination of acrylic resin and glass forms a composite white filling. The white colour of the filling is used to match the tooth colour. An aesthetic reason for opting these white fillings over silver filling is that most of the people prefer to have fillings which match remaining teeth. In both silver amalgam and composite white filling, a small hole is made inside the affected tooth. After placing the fillings, the tooth is properly ploished. This ensures that it has a clean and white appearance, to match the rest of the teeth. Compared to other fillings, silver amalgam fillings possess great durability and last for a longer time period. Composite white fillings blend well with other teeth owing to its natural teeth colour appearance. The mercury content in silver amalgam filling may affect the safety. For this reason, composite fillings are more considerably opted. The main disadvantage of silver amalgam fillings is the presence of mercury in it. Many people have been reported to suffer from various health problems due to mercury poisoning. However, only small risk is witnessed. Composite white filling or inlays and onlays are recommended to be the best alternative. Cosmetic Tooth Filling in ChennaiCosmetic Tooth Filling in New DelhiCosmetic Tooth Filling in MumbaiCosmetic Tooth Filling in KochiCosmetic Tooth Filling in MaduraiCosmetic Tooth Filling in BangaloreCosmetic Tooth Filling in HyderabadCosmetic Tooth Filling in SecunderabadCosmetic Tooth Filling in Greater NoidaCosmetic Tooth Filling in AhmedabadCosmetic Tooth Filling in Whitefield.